Legacy Unclaimed: What the Children of Pine Ridge Reservation Teach Us about Motherhood. I guess this is a continuation of the post about the expectations that enter the world when we are born. Not a post I planned to write, but I can’t not write it this morning. 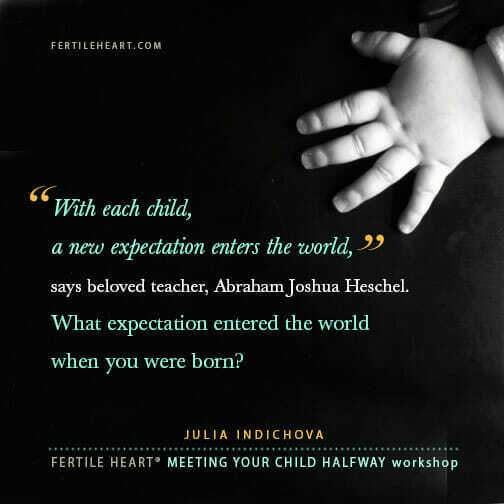 In our Fertile Heart OVUM work we talk about the idea taught in many wisdom traditions, that each child comes into the world to heal something in their family line, their community and the human family. What happens when we don’t have the societal support and inner or outer resources to take on that task? The injustices endured by our ancestors, the wounds not healed, become passed on in myriad ways and expressed through children, grandchildren; generations of those who come after us. Todays’ horrifying New York Times piece about the rash of suicides among the children of Pine Ridge Indian Reservation is an urgent call to every human being wishing to earn the priviledge of raising a child. I hope you read it, not because I want to ruin your day, but because it might deepen your resolve to claim your inheritance and turn it into a source of strength. This article strengthened my commitment to advocate and stand up for what’s right. I really think that I am birthing an environmentalist Self, and aboriginal people have a very special relationship with the environment. I deeply admire this relationship. What I’m healing with today is the Unconditional Gratitude body truth and the Tree of Faith and Surrender imagery. I’m also trying to extend my 20 minutes of ‘me time’ to longer periods throughout my day. I haven’t been the best at creating a world free of hateful behavior, but one day on my errands I consciously tried to treat others more kindly and with more attention. Also, I had a challenging time getting angry with my daughter for escalating into anger, and bless her therapist, he gave pointers how to handle that better. I realize I have so much to learn in that area and I am grateful for a kind, patient teacher. What I did today to create a world free of hate was actively choose to love others no matter if I had past hurts. I feel I try to remind myself daily to choose love so I don’t get stuck in a past orphan if one pops up! I am reminded everyday I have to choices to make keep walking an orphan path or take a different path that builds my v and loves the little o’s as they pop up! What I did yesterday to contribute to the world of hate free behavior was letting a person with fewer groceries go in front of my larger order. I know it is small but sometimes my own hurry up jump to the next thing does not want to wait. Kinda fitting with this journey! Also saying thank you! This is a very sad post. What I did yesterday to contribute to a world free of hateful behavior, is , on my shopping trip yesterday I made a conscious effort to be kind/friendly to the sales clerk. I meant to call her by name, but her sweater covered half of her name tag. I believe because of my intention even though there was only a brief comment about the weather, and the woman had been courteous to me in a business sort of way, somehow that comment about the weather led to a friendly conversation about gardens and we discovered we were from the same town, even though I was outside the town I live in for shopping. Usually I am so focused on what I need to get done that I am friendly enough, but not really focused on the people I meet. I was also trying to be more compassionate with my family. I may not be able to run up to the reservation and help children want to preserve their precious lives, but maybe I can make a more conscious effort to help myself and those around me feel more loved. I will start there. We all want love. My heart hurts for all of these beautiful young souls who are in deep need of mothering. So much of their pain is not even their own but brought onto them through many generations of hurt, suffering and injustice. This is a great reminder as to how much pain and suffering there is around us and not just within us. 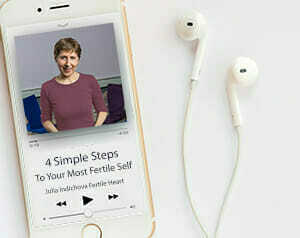 Through this great fertility challenge we are not only called to heal ourselves but also heal the deep wounds within our society. Thank you Julia for reminding me that this journey is so much bigger than a baby or even me. This was a heartbreaking and gut wrenching article that really made me stop in my tracks. It is such a poignant reminder of the poverty, desperation, and the sorrow that some children have to endure. I can’t imagine how difficult it must to live day to day in a situation like that.Hopefully this article will awaken people to the fact that our children need help now and remind people that children, all children, are a miracle to be treasured and cherished. I can only hope it starts a process of reaching out and healing. My heart hurts for these beautiful young souls. How awful for them to feel suicide was better than what they were living. Their “multigenerational trauma” as Mr. Janis refers to is something I think not uncommon to most. However, it appears more prominent here because of the population on the reservation. I think all families, no matter their religious/cultural background, pass down their own pain and trauma, most of the time not realizing it. How blessed I am to have had Julia in my corner as I begin the work to heal my own family pain. Hopefully these beautiful souls that took their lives won’t have acted in vain.. maybe these tragedies will promote the healing so deeply needed. oh my goodness that was a hard one to read. 103 attempts of suicide in the young age groups in just a few months? I see that and children trying to survive difficulties in the world with poverty and alcoholism per the article. How can they really handle such hard and difficult emotions and daily life circumstances without having tools to work through them? Children bullying other children to the point where they feel their only way out is suicide? Ah that just breaks my heart! I do see how important my work is. I want to bring in a child who is not carrying heavy sadness of injustices and fear of the people in the world and their opinions. I do see how important that is. In just my slowly healing heart I can see how my own outlook is changing and I hope to keep walking and walking in that direction so my child can walk with me. As always thank you for the reminders Julia. Happy Mothers Day to all the beautiful Fertile Moms out there! Pretty heart touching article Julia ! (fyi – the link didn’t show up but I googled). It is very unfortunate to hear how the kids are attracted to suicide just to get rid of their existing living conditions. There was a disgust filled in my heart for those parents for being so irresponsible. Why in the world did they have children if the were not interested. It is very difficult takes immense courage to revolt & walk against your cultural beliefs & traditions. Unfortunately at such tender age I am not sure if that can be expected from the children. Finally in November God blessed me! I made my seventh IVF… but this time it happened! I still do not believe although little Paula was born last week! I look at her and it seems that I am dreaming!